Hello guys, Blaxeturner back here with a great Miner cycle control deck. I am very proud to say that I have hit 4k trophies with this deck (4229 now and still climbing!) and I am still Free-to-Play player! My card levels are 10/8/4/2. Many of you may recognize this form of spell bait, however I will go into depth of the strategies I use to hit that 4k! Miner – Don’t close this window now, there are many very replacements for this Legendary. The Miner in this situation is used to tank quickly and is the fastest and cheapest at doing that. 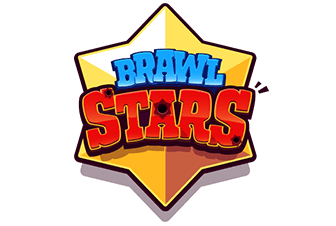 It is also very handy for taking out Princesses and Elixir Collectors. 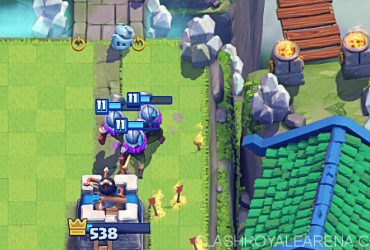 The optional and very good replacement would be the Hog Rider as its fast movement speed, high health, and the pressure on your opponent that it provides will help you get in a lot of tower damage. The only downside would be the fact that you have less semi-direct damage, it’ll be harder to take Princesses out, and costs 1 Elixir more. However, it is a very good replacement. Princess – The only other Legendary in this deck. But don’t worry, there are also very good replacements for her as well. Princess is in this deck mainly for chip damage as well as swarm control. 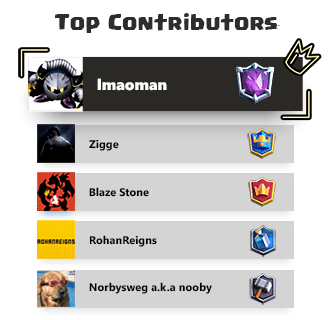 This will mean that Fire Spirits are a very good replacements for her. Not only being one Elixir less, but being able to function to be similar to a Legendary in this case. The only difference would be that Princesses usually bait out Logs, Arrows, or Miners which could be very useful. Fire Spirits also complement the Hog Rider very well. Fire Spirits can also be an optional replacement, but you’ll have to watch the swarm control. Furnace – The Furnace is one of the best control cards. It almost completely denies your opponent of any splash vulnerable troops including Lava Pups, Barbarians, Goblins, and even Mega Minion. The Furnace is here to control, but also to do massive amounts of chip damage. Alone (at tournament standard), the Furnace can do over 800 damage on a tower. It is very much preferred if your Furnace is a high enough level so that the Fire Spirits can reach the tower. Level 7 Furnaces will reach a Level 9 King Tower, Level 8 Furnaces will reach a Level 10 King Tower etc. It is best to take this into account when facing an opponent whose towers could potentially one shot your spirits. Goblin Barrel – For being only 1 more Elixir than normal Goblins, these guys will offer insane amounts of damage if played correctly. They will also be another semi-direct damage unit. As this is a Zap bait deck, it is important to keep knowledge of your opponent’s spells. If your know your opponent has a Zap or Log, you would want to send your Goblin Barrel off center so that some Goblins may survive. Even one Goblin will deal a lot of damage when paired with the Miner. Alternatively, if you know your opponent has Arrows, you might want to distance the Goblin Barrel further away in hopes of having them miss. It is a mind game when playing with the Goblin Barrel and it is important to know how to work around your opponent’s cards when playing with it. Skeleton Army – What was once crowned the worst card in the game is now a dangerous card to play against. With its amazing DPS, it can take down tanks very quickly. The only drawback would be its splash vulnerability. You want to play this card smartly as well. If your opponent has a Giant supported by a Wizard, you want to send your Miner to tank and place the Skeleton Army on the other side to avoid the Wizard’s splash. On defense, if you know that your opponent does not have splash units at hand to counter the Skeleton Army, you can place an Inferno Tower to one side, and the Skeleton Army on the other side, forcing your opponent to choose between one card to use their spell on. Minion Horde – Even with countless new cards that work great against Minion Horde (such as Fire Spirits, Mega Minion) this card still is able to be very devastating. However, like other cards, you will have to play this card smartly. Don’t play it into splash units such as wizard and Fire Spirits and don’t carelessly play it at the beginning of the match if you don’t know what cards your opponent has to counter it. You want to work around your opponent’s cards and cycle so that you can catch them off guard and gain the most value from this card. 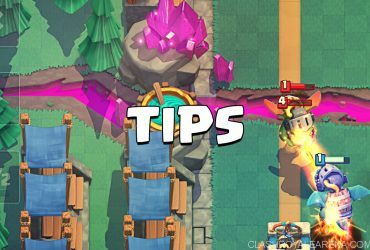 Inferno Tower – With all this Zap bait, the Inferno Tower especially stands out. You will have to keep your eye out for your opponent’s cards as a lightning spell or a freeze spell can still devastate your Inferno Tower, but for the majority of the time, your opponent will have used up their Zap, or will want to save their Zap for your cards. It is smart to distance Furnace behind your tower while Inferno Tower in front as your opponent will not be able to lightning all three buildings. Another thing to keep out for are cheap units that may distract the Inferno Tower, however the Princess or Fire Spirits should easily take care of that for you. Ice Spirit – For just one Elixir, this card can add devastating amounts of damage especially in this deck with high DPS cards. A lone Goblin Barrel can be ignored, but a Goblin Barrel paired with an ice spirit can not. The ice spirit is also excellent on defense when paired with the Inferno Tower, Skeleton Army on frozen splash units, and to add extra threat to any push all for the cost of only one Elixir. As this deck is a Zap Bait Control deck, you want to focus on two things: Defense and their splash cards. Your goal is able to defend successfully while getting their Zap off rotation or having them hesitate to use it. However keep in mind that there will be opponents that have counters to all of your baiting units. There are still ways to work around this, but defense is the key thing when handling these types of situations. You have to be able to defend successfully. This deck has many defensive units such as the Furnace, Inferno Tower, ice spirit, and Princess, and with the proper use of these cards, you can stop almost any push. Due to the cheap cost of many cards in this deck, you can split push which can be deadly if your opponent is low on Elixir or if you opponent has few swarm control cards. 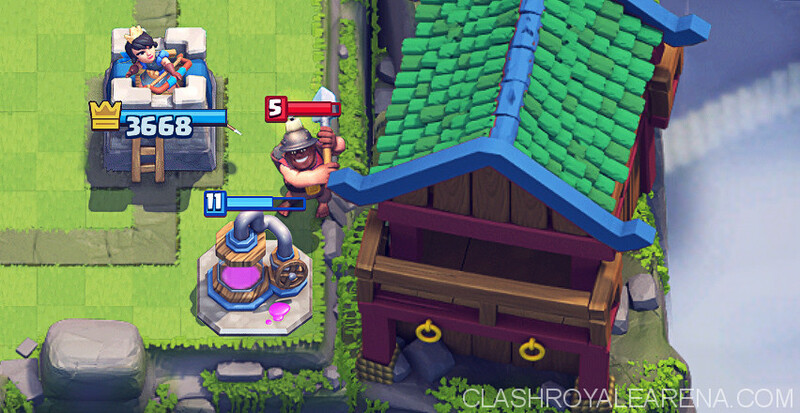 When you place the Miner on the side in between the crown towers, both towers will target the Miner. Using this, you can distract both towers. Your Miner will die twice as quickly, but the push is twice as deadly. With this technique, you can send a Skeleton Army on one side and a Goblin Barrel on the other side. This 9 Elixir combo can prove very devastating to both of your opponent’s towers and has the potential to take both towers to almost 0. This will also prove your opponent’s Logs less useful as they will have to choose one side to place it down on. Use the Furnace to gain your Elixir advantage. When there is a full health Mega Minion coming your way, use the Furnace to take care of it. It may seem like a negative Elixir trade for you, however with the -1 Elixir, you now have a building that will spawn 4 more waves of Fire Spirits. When your opponent has a tombstone, place the Furnace on the opposite lane or for defense. Since this deck has two defenses, it would be reasonable to place your Furnace behind your tower so that your opponent can not Lightning, Poison, or Fireball both. Use Furnace to also pressure your opponent. If your opponent has a tower that is less than 500 in health, place a Furnace on that side forcing your opponent to either lose that tower or play a troop/building which possibly puts their cards out of rotation and has your opponent’s attention diverted into two lanes while you have your attention in one. Deck Weaknesses – Some cards that this deck are weaker to are Valkyrie, witch, Tombstone, and Log. When matching against these cards, you’ll have play smartly and change your plays. Save your Miner and ice spirit to take out the witch. Save Minion Horde for the Valkyrie and use split pushes when going against the Log. You have to play smartly against these cards to win against them. That’s it for this deck! With more and more cards coming out, I hope to incorporate a strong deck with them. Thanks! Revamped Three Musketeers Deck for The New Meta!